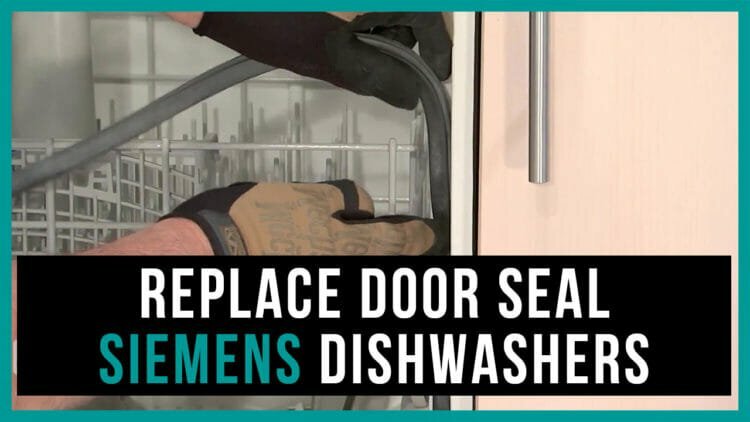 The dishwasher will not start or will leak due to the worn seal. That’s why, we strongly recommend you to replace this element. To identify the faulty seal is easy. The worn-our part will have the cracked surface and in some cases the ripped one. So the door will leak constantly and you’ll get puddles on the floor. In some cases the faulty seal will not let the door close completely, so the appliance will not start. low-quility water and exposure to chemical detergents. Before you begin the repair, we recommend you to unplug the appliance from the mains. You don’t need to disconnect the inlet and drain hoses. The old seal is almost impossible to repair. That’s why it needs to be replaced. You don’t need any additional replacement parts. For the best quality repair of your dishwasher you need some tools. They are a knife, a small wide screwdriver for proper installation, and a hair dryer. Cut off the old seal using the knife. If you pre-heat the seal with the hairdryer at a minimum speed, the seal will be more flexible. Close the door, plug the dishwasher to the mains outlet and run the appliance without dishes. Make sure it isn’t leaking.